One of the most provocative and talked-about books of the year, Selfish, Shallow, and Self-Absorbed is the stunning collection exploring one of society’s most vexing taboos. One of the main topics of cultural conversation during the last decade was the supposed “fertility crisis,” and whether modern women could figure out a way to have it all—a successful career and the required 2.3 children—before their biological clocks stopped ticking. Now, however, the conversation has turned to whether it’s necessary to have it all (see Anne-Marie Slaughter) or, perhaps more controversial, whether children are really a requirement for a fulfilling life. 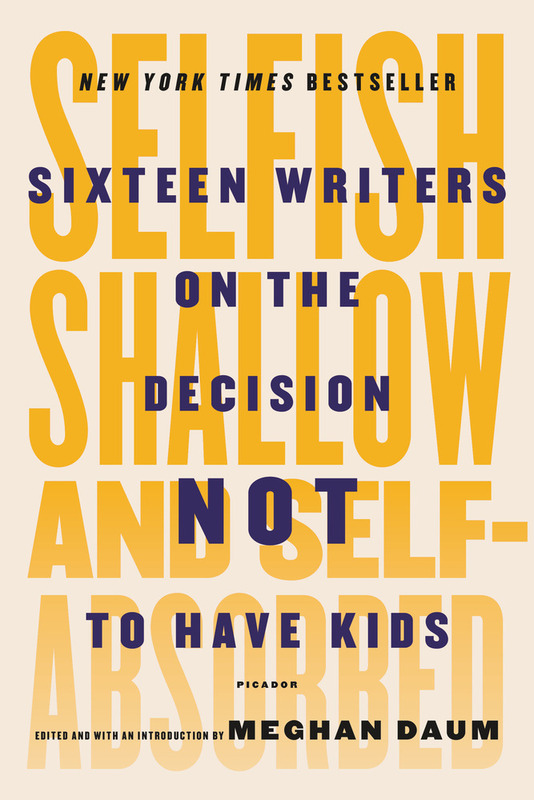 In this exciting and controversial collection of essays, curated by writer Meghan Daum, thirteen acclaimed female writers explain why they have chosen to eschew motherhood. Contributors include Lionel Shriver, Sigrid Nunez, Kate Christensen, Elliott Holt, Geoff Dyer, and Tim Kreider, among others, who will give a unique perspective on the overwhelming cultural pressure of parenthood. This collection makes a smart and passionate case for why parenthood is not the only path to a happy, productive life, and takes our parent-centric, kid-fixated, baby-bump-patrolling culture to task in the process. In this book, that shadowy faction known as the childless-by-choice comes out into the light. MEGHAN DAUM is a columnist for the Los Angeles Times, the author of The Unspeakable, My Misspent Youth, Life Would Be Perfect If I Lived in That House, The Quality of Life Report, and the editor of Selfish, Shallow, and Self-Absorbed. Her essays and reviews have appeared in The New Yorker, Harper's, The New York Times Book Review, Vogue, and other publications.